Reporting: The process of organizing data into informational summaries in order to monitor how different areas of a business are performing. Analysis: The process of exploring data and reports in order to extract meaningful insights, which can be used to better understand and improve business performance. Reporting translates raw data into information. Analysis transforms data and information into insights. Reporting helps companies to monitor their business and be alerted when data falls outside of expected ranges. Good reporting should raise questions about the business from its end users. On the other hand, the goal of the analysis is to answer questions by interpreting the data at a deeper level and providing actionable recommendations. Through the process of performing analysis, you may raise additional questions, but the goal is to identify answers or at least potential answers that can be tested. In summary, reporting shows you what is happening while the best analytic software goes beyond and explains why it's happening and what you can do about it. Unfortunately, some companies confuse reporting with analysis. Let’s look at reporting and analysis a different way to see why this may be. If you’re one of the people that have the task of putting together reports you likely find yourself logging into different systems for the data you need. Once you’ve located all the pieces, you're off building, cutting, pasting, configuring, consolidating, organizing, formatting, etc. When you’re finished, the last step is to push the report out. Relief sets in, phew that’s done! All of that combined can really feel like you’ve been analyzing when really you've just been organizing data and that’s actually just reporting or what some refer to as spreadsheet hell. In short, a report has been created and sent out, but no time has been spent analyzing it. Remember, analysis is the process of examining the data and extracting meaningful insights. That’s left to the report consumer who’s expected to review and take whatever they deem as an appropriate action for themselves. While I’ve described the most manual way reports can be created – distributing canned reports from any of the various systems one might use (POS, BOH, ERP, Loyalty, etc. ), to operate a restaurant, delivers the same result. It simply creates and pushes out the canned report - no analysis required. OK, it may seem like I’m bashing reporting and that’s not the case at all. 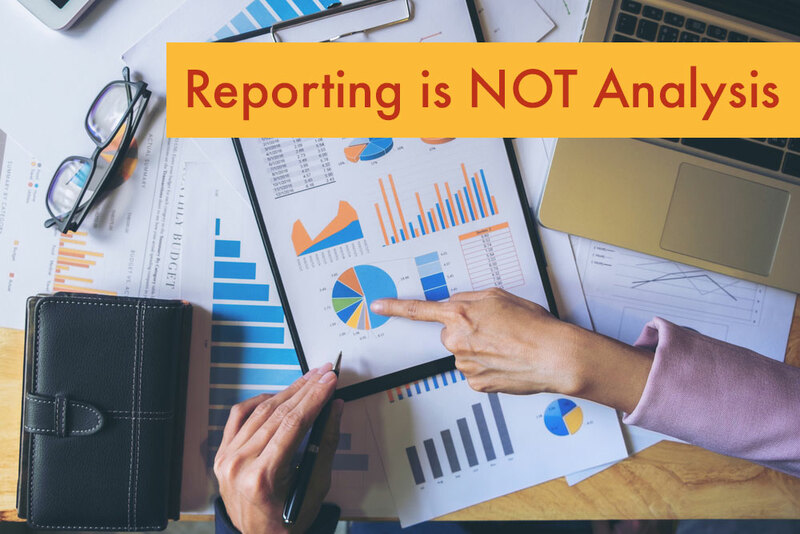 In fact, the majority of people within a restaurant organization are report consumers so reporting is important. And as mentioned above good reporting should raise questions from the report consumers / end users. Following that, however, wouldn’t you agree that it would be best if your report consumers were consuming reports that your company has custom crafted and tailored to yours/their specific needs? 1) Help you consolidate data from any / all of the systems you use to operate your business. Some examples might include sales and labor from your Point of Sale system or Inventory, Food Cost, Invoicing from your back office, and other data that may come from your financial system. And then there are the 3rd party systems: labor schedule, reservation systems, mystery shopper, loyalty, voice of customer, etc. 2) Provide you with the tools that will allow you to easily pull the data needed from any of these systems and then combine it into a report that will provide deeper insights / produce an answer to a specific question - an approach often referred to as ad hoc analysis. How is that price increase or LTO affecting sales? Are we selling more, less? Are we making more money or less? What other consequences (cannibalization) have the price increase/LTO caused, if any? What's our turnover rate? Where is it the highest, lowest - Why? What, if anything can be done about it? 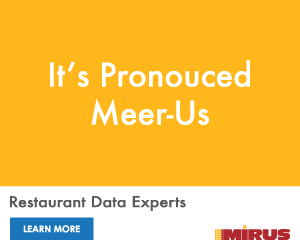 Which locations/servers have the highest PPA? Why? These are just a few examples of questions that can come up that require deeper analysis to reach an answer. Unfortunately, locating solutions that bridge the gap between reporting and analysis can be somewhat confusing as many solutions that simply provide standardized reports use the terms that imply Analysis or Analytics as a part of their product description. That’s not to say that’s not accurate but may be somewhat misleading. For example, a calculator falls under the definition of a Business Intelligence tool that can be used to perform analysis. And while a calculator can be quite helpful, I’m sure you’d agree that it’s a long way from the right solution to help crunch all the numbers you might need to get answers to all of your questions. In closing, it’s been my experience that a majority of restaurant companies have lots of reporting. But, as mentioned previously, while reporting is extremely beneficial it rarely spurs action on its own. Analysis is required to help bridge the gap between information and the insights needed to understand why and what you can do about it. Having said that, the analysis itself doesn’t guarantee that good decisions will be made but, it is a necessary step closer to realizing the value that analysis can deliver.